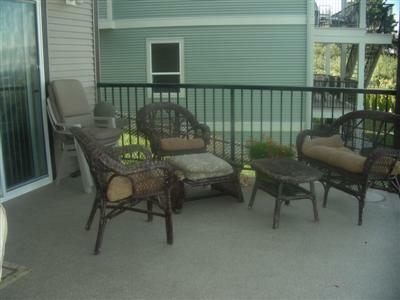 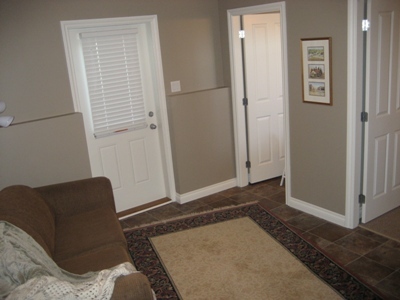 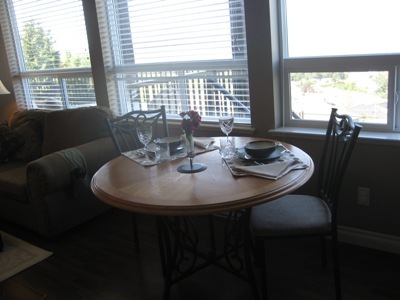 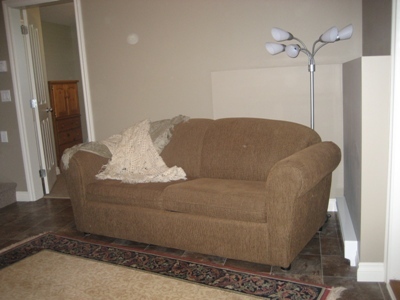 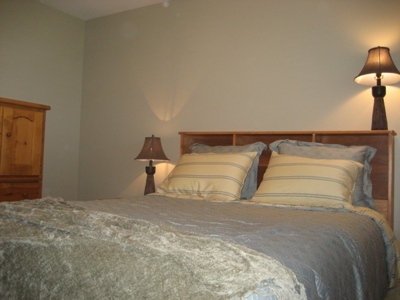 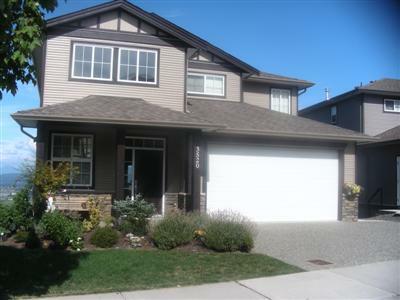 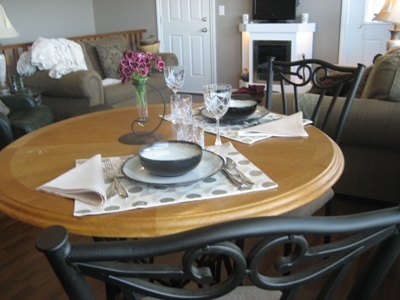 Highland Falls Guest House is located in a quiet residential area of Abbotsford. 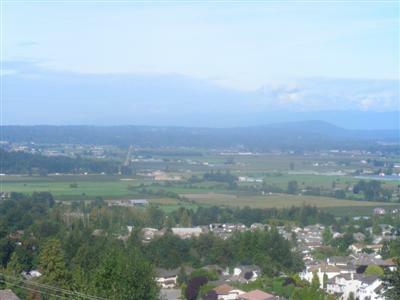 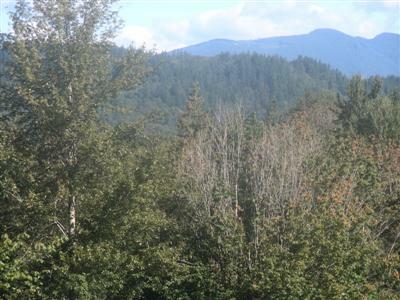 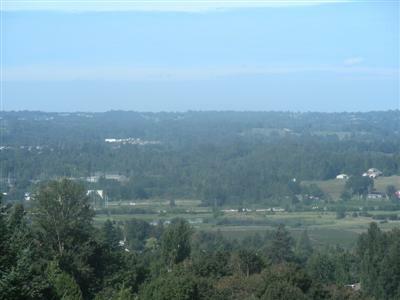 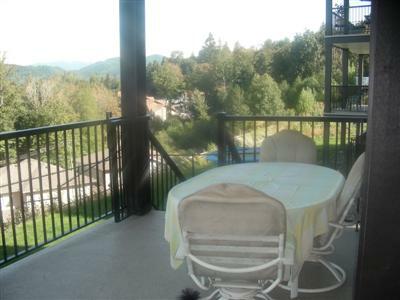 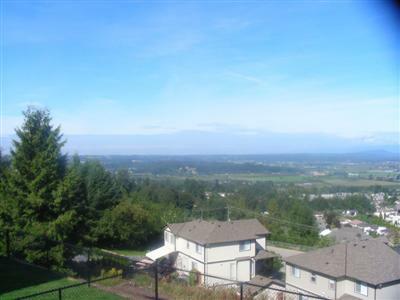 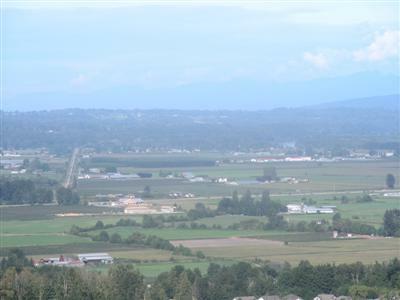 Perched on Sumas Mountain this property features stunning views that sweep the Coastal Mountains and the Fraser Valley below. 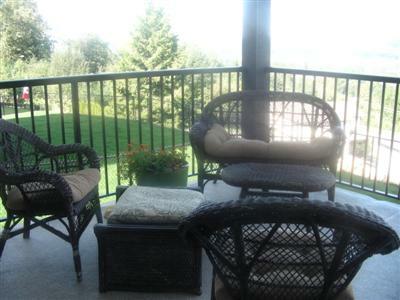 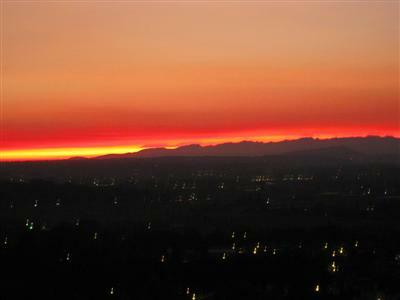 Enjoy breathtaking sunsets from the private covered deck of this two level suite with three private entrances. 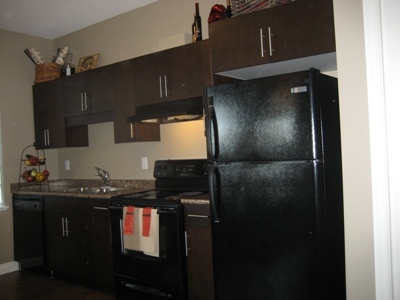 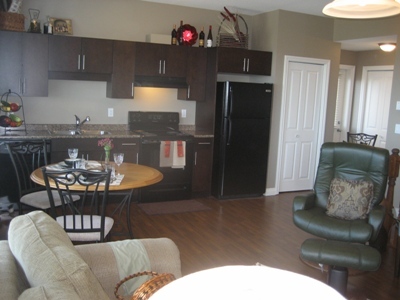 There are 2 bedrooms with 1 full bath and a fully equipped kitchen. 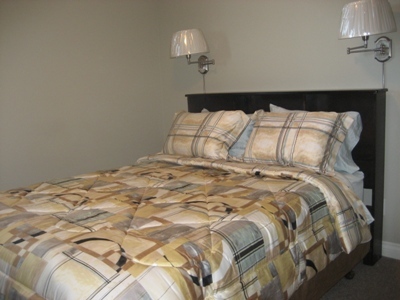 This unit can sleep 4 people comfortably with two queen size beds. 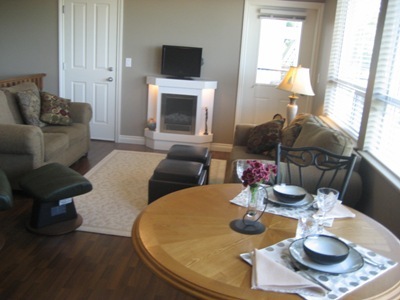 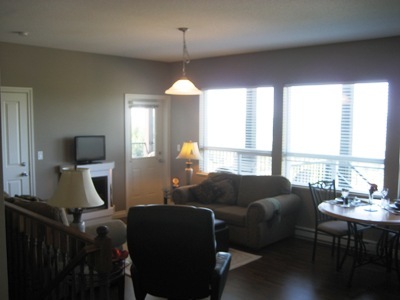 Enjoy evenings by the electric fireplace in the sitting room with LCD TV, or in a reading area on the lower level. 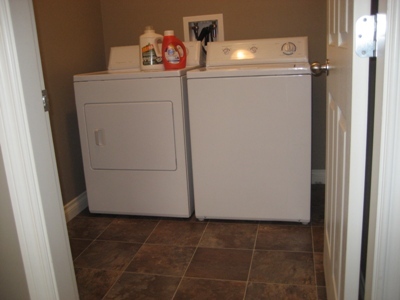 Amenities include in-suite laundry facilities, a fenced yard, television, DVD player, wireless internet, desk and one parking space. 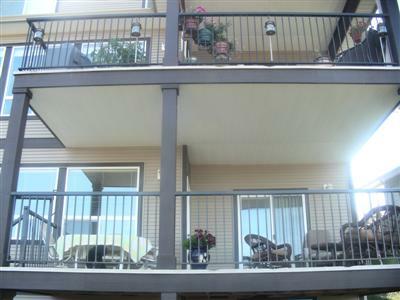 The location is minutes on foot to transit and within close proximity to Highway 1 providing easy access to Vancouver attractions. 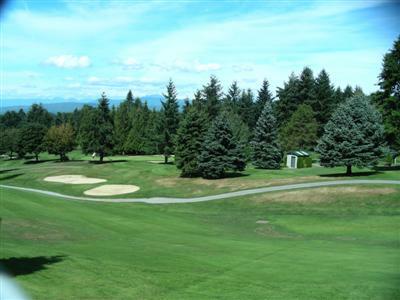 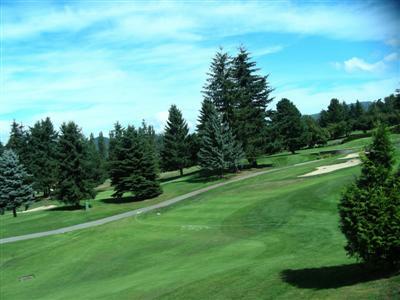 All the amenities of Abbotsford await you including recreation centers, movie theaters, restaurants, as well as several golf courses and parks. 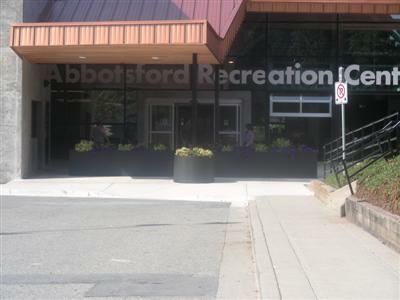 The USA border crossing may be accessed within 10 minutes and the Abbotsford International Airport within 15 minutes. 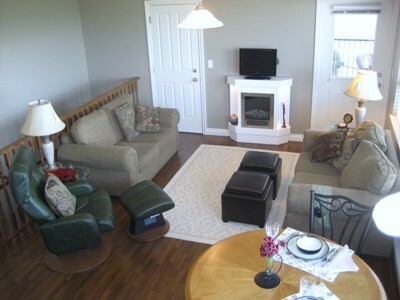 This is a very spacious suite that will provide a comfortable stay.